DIDJA KNOW . . .? a senior or special needs kitty. 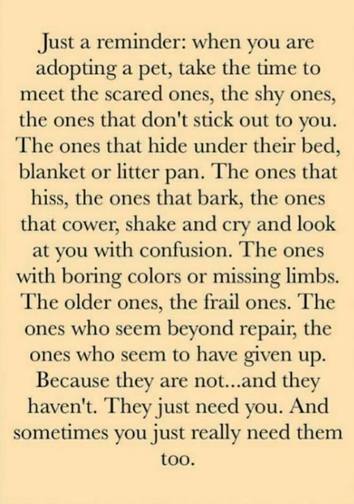 Click on the picture to enlarge and read this purr-fect poem about the older kitties! 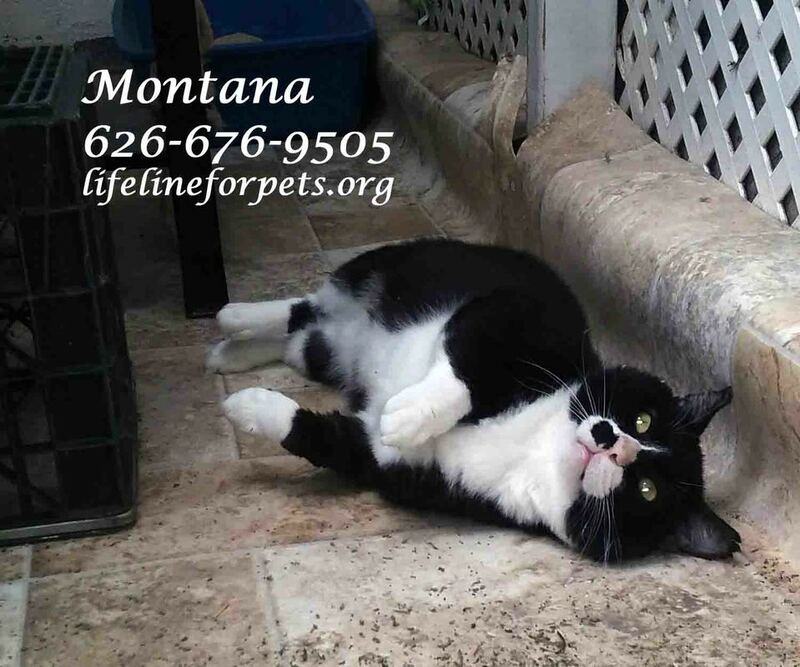 Like her namesake, the famous Hollywood movie star, Norma Jean, who became the beautiful Marilyn Monroe, our feline beauty has had her share of troubles. Our Norma Jean was abandoned to a life on the streets. She had some litters of kittens and never knew where her next meal was. She was found by a Good Samaritan and brought to safety. Her health exam discovered some issues, which are now clearing up nicely with a special diet (non Rx). She is FIV+ but needs no meds, a condition easily managed as long as she is kept indoors. In spite of all this, our Norma Jean, like the actress, has remained the pillar of beauty and sweetness throughout. We think she should be put on a pedestal and pam-purr-ed with love and safety all the rest of her life. Omar is a lovebug! You'd think with all he's been through that he'd be very skittish, but NO! He's a very friendly and sweet guy! When he was first rescued from the streets, he was in quite a sorry shape. His rescuers took him straight to the vet where he was treated for several issues, neutered, and vaccinated. Now, other than being FIV+, Omar is good to go and will make someone a great companion. 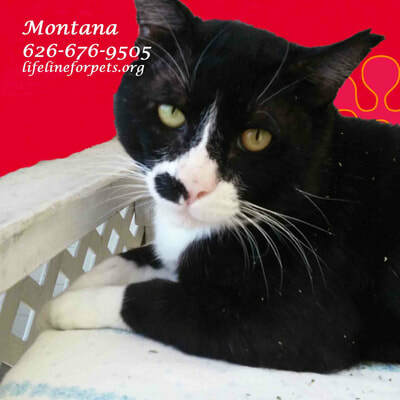 He can either be the only cat, and receive ALL the love, or he can be with another, mellow kitty, preferably one who is also FIV+ (we can advise). His foster mom says he is very easy and friendly. Please consider adopting this wonderful boy, especially since he is currently residing in the garage (they made him a "bachelor pad" there), but he seems really happy. "When people come over, we always take them to meet him and he likes them all. He loves it when you pet him and hangs out with you, i.e. snuggles with you if you lay on the carpet with him. He even gets mad when you leave!" Just look at this gorgeous girl! Yes, she's a diva, but in a good way. She's very friendly with humans, and loves to be petted, but she would prefer to be your one and only kitty! She had a home and was well loved, but, sadly, her owner passed away. Diva is now residing at Whiskers to Tails Cat Hospital in Pasadena, where you can call to make an appointment to meet this sweetie. A torbie is a mix of tortoiseshell and tabby, which you can see in the full body picture. She was a little overweight, and is on a diet of canned food only. Diva has a good many years ahead, and she'd love to live them in the comfort of a loving, forever home. 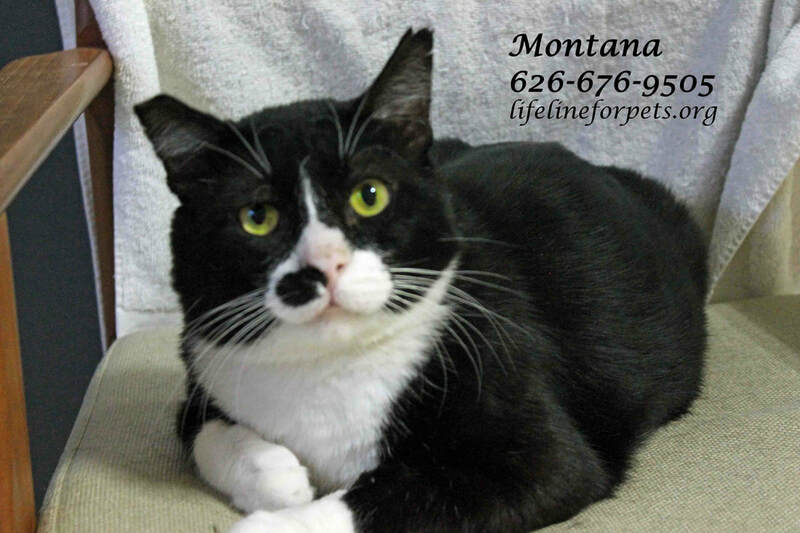 Montana is sponsored by Ellie Viray, Realtor: Deasy, Penner, & Podley, Pasadena. 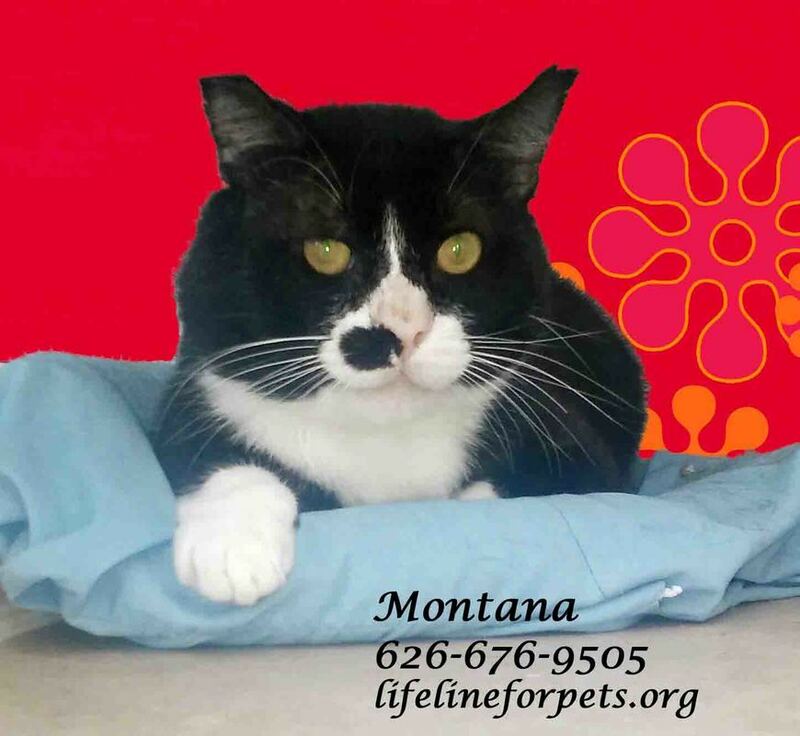 Come Meet Mighty Montana !!!!! He has such a cute face! At first, we thought he was feral but he was only just fearful. We are pretty sure he had a home at some point, was abandoned or abused and ended up navigating the streets all by himself. He does like to play, and appears to enjoy petting more on his head vs. his body. For some of the volunteers he knows and trusts, he rolls over and shows his belly wanting to be loved and rubbed. We found that since Montana loves to protect all the younger kitties, we have made him our honorary “Grandpa kitty”, even though he isn’t very old. He seems to prefer the company of younger kitties, but gets along just fine with most of our adult kitties. Our wonderful team of socializers are working with him, and he has gone from being isolated, to now being out, cage-free, in a room with other kitties. Montana is FIV+ and needs no meds. This condition is easily managed as long as the kitty is kept indoors. 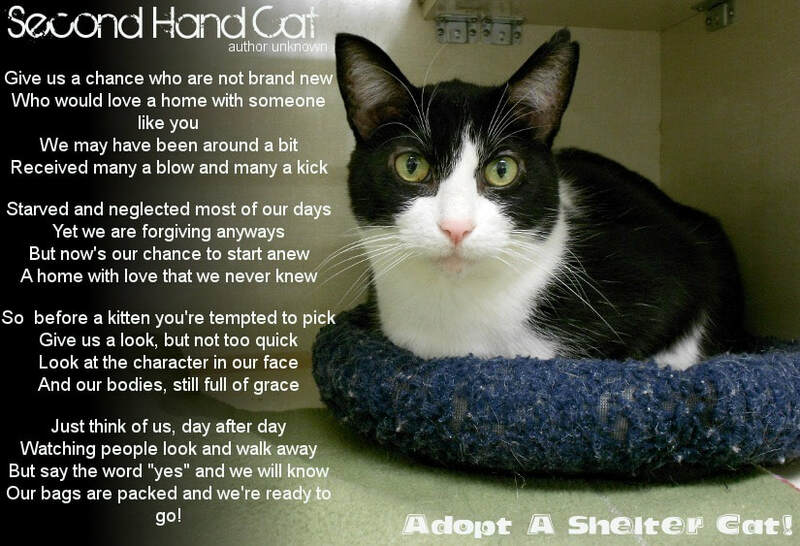 SENIOR MOMENTS--ADOPT SOME WHISKER WISDOM! ​Willie is SPONSORED by Joelle D. Thank you!! Willy is a very handsome tuxedo boy. He is all sweetness when he is not shy. He will be shy at first until he gets to know you. Even though he's a senior, Willy is all boy—he likes treats and to be pet. He also loves to play and pounce on his toy mouse, as you will see in the video on our website--yes, he's still got it! He gets along pretty well with the other cats, but likes to be the boss. He has a shy feline girlfriend, Katie, and they are very bonded. It would be an easier transition if they could be adopted together. Willy has never known a real home, and has only lived at the rescue. He needs a loving, caring and understanding person to give him a happy home for the rest of his golden years. He's more than ready for adoption or fostering. Click on a picture below to see full size. Katie is Willy's girlfriend. Adopt together if possible. Once a feral senior cat that no one could touch, he now asks for love! Trouper is SPONSORED by Joelle D. Thank you!! 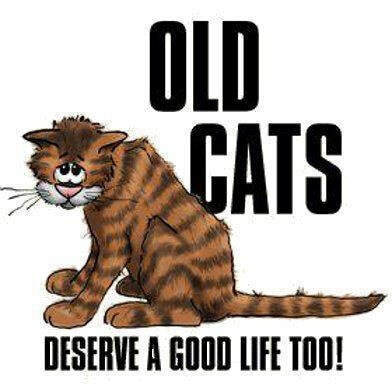 Even elderly cats need a loving home! Many special needs cats are often forgotten or overlooked. If they are given a chance to shine, they blossom with love. With good care they can live many more years. Meet TROUPER. Once a feral senior cat that no one could touch, now asks for love! TROUPER, a very senior cat, was rescued from the streets. He was dirty, thin, angry, and had everything wrong with him--he has FIV, was emaciated, filthy fur from flea dirt, an inflamed and painful mouth, few teeth, a fungal infection, and anemia. After surgery and in rehab for about a year, his progress has been very slow. YET, thanks to loving care from his vet and her staff, Trouper now not only eats like a horse, he LOVES being stroked and petted ! If an experienced adopter were to apply for a foster or adoption, just to give Trouper the opportunity to live out whatever time he has remaining in the comfort and love of a home, it would warm our hearts. Can you offer a quiet home to this very deserving boy? Trouper just loves to have belly rubs--see that on his video! Such a sweet boy. Still a little skittish, but loves petting and loves to snuggle in his bed. Most recent picture! He looks GREAT! Most recent picture. Fabulous progress! Elvis is sponsored by Ellie Viray, Realtor: from Deasy, Penner, & Podley, Pasadena. Elvis has been with us a long time. Elvis is mostly all white, shorthair, and is such a photogenic, handsome boy! He loves treats and gets along with people and other cats. Elvis just needs a home with a large, high-sided litter box. Click on any picture to see a larger view of his feline beauty! They've already gone through the crazy kitten stage, and their purr-sonalities are fairly set. They are most grateful to have a warm lap to nap on and loving arms to snuggle into. Older cats often get passed up by potential adopters and face many years of living in a shelter, never to know the joy of a forever home. Never underestimate the amount of love and joy you can receive from adopting a senior cat. With good care they can live many more years, and when they are ready to cross the Rainbow Bridge, how fulfilling to know you have surrounded them with the love, care, and comfort of a true home. No matter what age YOU are, you've probably heard about the benefits of owning a pet. Studies confirm that serious health conditions are improved. Blood pressure goes down, cholesterol levels improve, and heart attack risk declines. 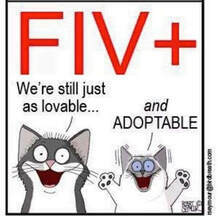 Need more encouragement to adopt a senior or special needs kitty? 1. "Couple Takes Two 21-year old Bonded Cats Out of Shelter So They Can Spend Their Golden Years in a Loving Home." 2. "Woman Adopts Senior Cat, Comes Back to Shelter for His Old Friend." One more comment on special needs cats: Often, with just a few accommodations, they can live relatively normal lives. Some may never be lap cats, but you never know--we've seen miracles happen just with patience, treats, and gentle attention--and even special needs cats deserve a loving, lifelong home, too.